Bubba the Pirate: "If you're really from Jersey, you'd never eat Dominos." "If you're really from Jersey, you'd never eat Dominos." My original plan was to get to Miami and my boat on Saturday afternoon. 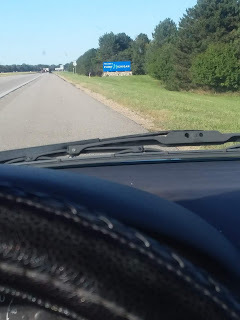 The trip had gone well, except for losing a couple hours in Georgia to construction traffic, but when I left Lake City, FL, I was already dragging my feet a little. I kept getting these bits of information. First, I was told the Miami International Boat Show was going on the weekend I planned to show up. However, it was on the other side of the bay. The waterways might be busy but I didn’t worry too much about the show. More recently though, I learned the Coconut Grove Arts Festival was on the weekend as well. It was then that I knew I was in trouble. Looking into the Art Fest, the whole bayshore in the Grove was shut down. Parking was going to be a problem, getting to the boat was going to be a problem. From 300 miles away, I knew that I would not be able to get close enough to unload anything. A few more phone calls and I found out the Dinner Key Marina mooring field was sold out due to the art fest and everything else. Dinner Key Marina is where I’ll be keeping the boat temporarily. There is a free anchorage nearby and I have a contact living there, but I think I want the security and the services of the mooring field. I'll sort that out when I actually get there. By the time I turned onto the Florida Turnpike I had decided that I wasn’t going to go all the way to Miami on Saturday. It was going to be nigh on impossible to get to the boat and my preferred option to move her to was unavailable. I ended up stopping in Fort Pierce, where I’ll be living, and starting the process of moving into town. I poked around for a weekly rental as I already have a job in Fort Pierce, but won’t have my boat here for a month or so. Nearly all my worldly possessions were travelling around with me in the car, so I rented a storage unit to unload some the stuff I won’t be using for a while. And I wandered around town taking stock of my new neighborhood. After taking care of some set-up-for-living tasks, I decided to find a place to sleep. 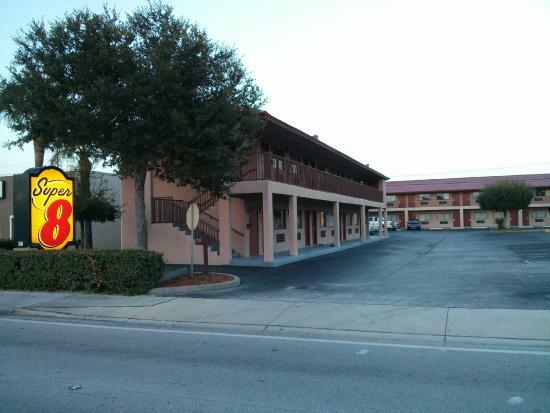 Imagine trying to find a motel room on the Saturday evening before Valentine’s Day. Ha! Damn romantics. When I finally found a motel with a room, guess what?!?? I spent more than I had planned just to be able to sleep. Worse yet for my once healthy body, I discovered that Dominos now has sandwiches and other stuff. Road weary and famished, I ordered a veggie sandwich and a chicken thing, both ended up with way more cheese than I anticipated. Just as I heard a knock on the door, my neighbors offered to buy my ‘pizza’ from the delivery guy. “Hey, I came all the way from Jersey, I’m hungry!” said the disembodied voice from the open door down the balcony; with an accent that proved his pedigree beyond a doubt. All I heard was a mumbled “that’s a fact” but the next morning we exchanged pleasantries with an extra width of smile. This is a great venue. I was here for a party and there was so much food and it was all done so well! The decor and food at venues in Los Angeles were amazing. Personally, I think the space is laid out really well and the size of the venue keeps pulling great parties.